Need new apps for your favorite device? 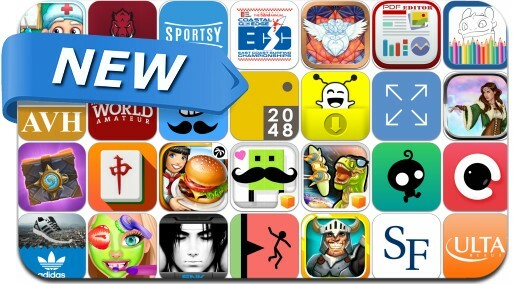 Here are 32 iPhone, iPad and iPod touch apps that just hit the App Store. This new apps alert includes Cooking Fever, Loot Raiders, Ace Ferrara and the Dino Menace, Mahjong Ultimate, 2048 Snake Reloaded, PerfPix, Real Fishing 2014, Cooking Fever, SideChef, Sportsy and many others.